Taktsang monastery in Bhutan is one of the most desired destinations for all the visitors. It is constructed on a rocky cliff about 900 m above Paro valley. Hiking to Taktsang monastery will take about 6 hours (round trip). 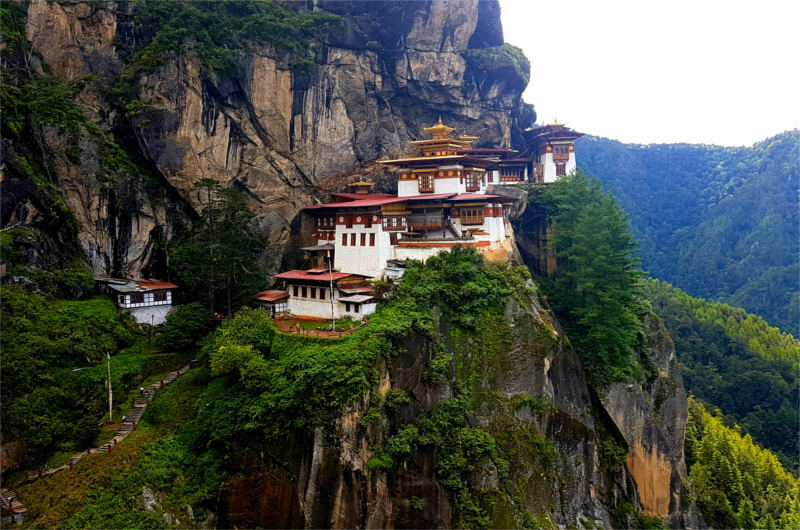 The monastery got its name Taktsang, which in local language means Tiger’s nest or Lair, after Guru Rimpoche (Buddhist saint) flew there from Kurtoe Singay Dzong (eastern Bhutan) riding on a tigress to subdue a demon during 7th century. It is believed that the tigress on which Guru flew was none other than his own consort Khandro Yeshey Tshogyal. Gyalse Tenzin Rabgay, the secular head of the country during 1680 to 1694 has begun the construction of monastery on this site in 1692 and was completed in the year 1694. Inside the temple; one will witness a hole where it is believed that Guru Rimpoche using his dragger has pinned and subdued the demon. Temple also has a cave where Guru Rimpoche mediated and it is open to public only for a single day in a year. Paro Ta dzong was built in 1649 by Lanyongpa Tenzin Drukdra and Chogyal Minjur. It served as a watch tower to protect the Paro Rinpung dzong below and to fend off numerous Tibetan forces. Today it has change into as National Museum. 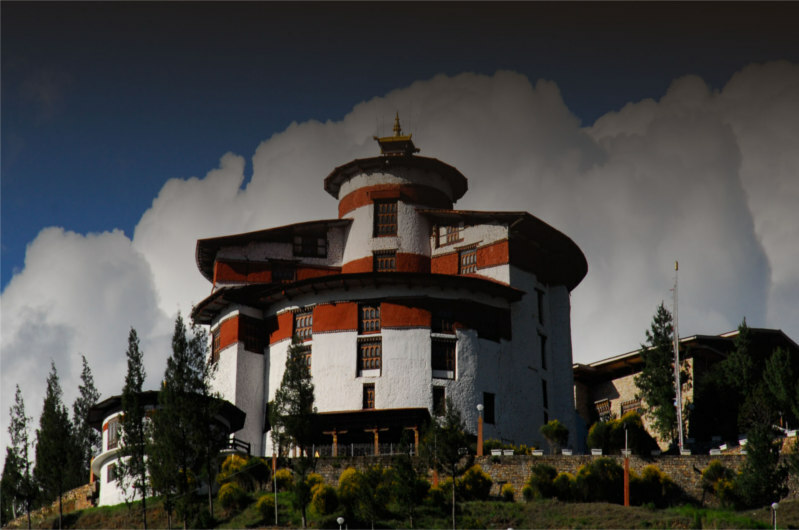 It is located on a hill top above Paro valley around 5 kilometers drive from Paro town. The site on where the present Paro Rinpung Dzong stands was founded by Buddhist priest name Drung Drung Gyal in 15th century and has built a dzong known as Hungrel dzong. Later his descendents offered Hungrel dzong to Zhabdrung Ngawang Namgyal (the founder of modern Bhutan) upon which Zhabdrung dismantled Hungrel dzong and constructed the present Paro Rinpung dzong in the year 1644. The dzong is located on the bank of Paa Chhu River opposite to Paro town. 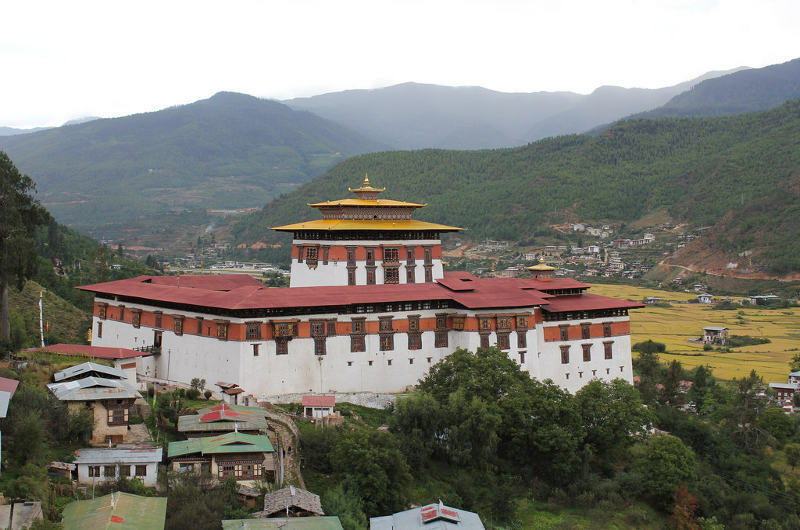 The dzong today serves as a district head quarter for both administrative and monastic body. Once in every year Paro Rinpung dzong serves as venue for the famous Paro Tshechu (festival) which attracts thousands of devotees and tourists.